CGCX seeks to create a larger and more viable economy that can increase the mass adoption of cryptocurrency. It has established a comprehensive method capable of forming the foundations of a strong community of cryptocurrency users, including but not limited to firms, new companies, traders, customers, and merchants. CGCX aims to advance to higher-grade levels worldwide around the coming years with plans for expansion into other regions. The launch of our advanced crypto platform, the first in Singapore was the first step in our long journey to realize our vision of becoming a global leader in crypto exchange and blockchain solutions. As part of its efforts to provide quality cryptocurrency tools, CGCX creates its own utility tokens. Known only as a CGCX Token, these coins can be freely exchanged through Ethereum. It can also be used for exchange on CGCX platforms; users who pay with them can earn substantial discounts compared to those using other forms of money. By releasing tokens in presale with a 20% bonus, we hope to attract a large number of early investors and build a strong foundation for further growth. 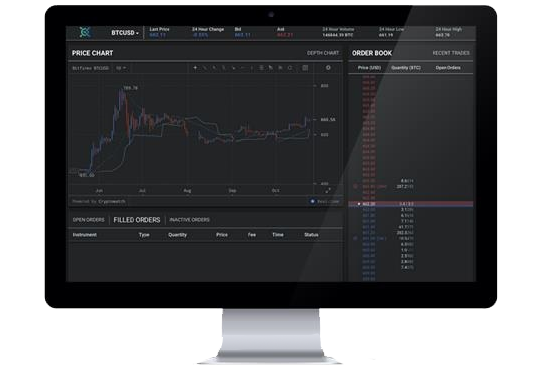 CGCX is a cryptocurrency exchange platform that facilitates extensive and specialised functions that are designed for a range of users, from an everyday user to institutions and advanced traders. CGCX is an all-in-one Exchange that allows its users to buy and sell different coins on its platform. By unifying all transactional aspects, it makes buying and selling coins easier for the users. The state of the art features of the CGCX platform can withstand concurrent orders of more than 1 million per second and will ensure the security and stability for its users. CGCX provides all its users with multi Wallets to store CGCX Tokens, Bitcoin, Ether and other cryptocurrencies in a single location safely. The CGCX Token is the integral part of the CGCX ecosystem. Tokens will be issued on the Ethereum blockchain using a Smart Contract. The platform maintains a total issuance volume of 2 Billion tokens. It is a decentralized cryptocurrency based on standard ERC 20 token protocol. The CGCX Token supports all Ethereum wallets and will be freely transferable on the Ethereum platform. CGCX Token is not a security token with equity rights but rather a utility token. CGCX Tokens find extensive utility value inside our ecosystem. They can be used as a medium of exchange in our platform for Merchant transactions and in Smart Contract Applications. They can also be used to vote in the Alt Token listing. Exchange platform users get discounts on fees on our platform while paying with CGCX tokens. With the ever expanding opportunities for utilization, the demand for CGCX token automatically gets enhanced, increasing the value of the token holders. CGCX’s Alternate Cryptocurrency voting program is a monthly process spearheaded by CGCX’s team of cryptocurrency experts and external auditing firm. They would identify viable alternate cryptocurrencies to be listed on the exchange. Users would be then be able to use CGCX tokens to vote for their preferred alternate cryptocurrencies to be listed on the CGCX exchange platform. This voting program ensures that only legitimate projects with potentially appreciating cryptocurrencies are filtered into the exchange. As more ICOs take place and more alternate cryptocurrencies are developed, this program aims to protect our traders from potentially depreciating or scam projects. Our platform facilitates the creation and digitisation of certain types of assets like trade agreements and bank instruments. This improves the turnaround time with low transaction cost. This allows for automated settlements and trades based on predefined conditions, which will trigger the self-execution of these smart contracts. All tradable assets that can be represented via a digital token and publicly traded can be used in these smart contracts, subject to regulatory requirements.